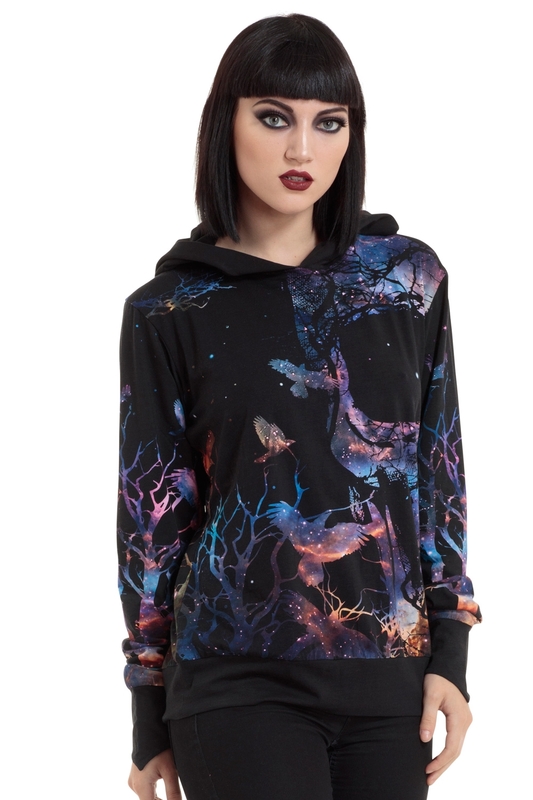 Escape into your own gothic galaxy and never look back. 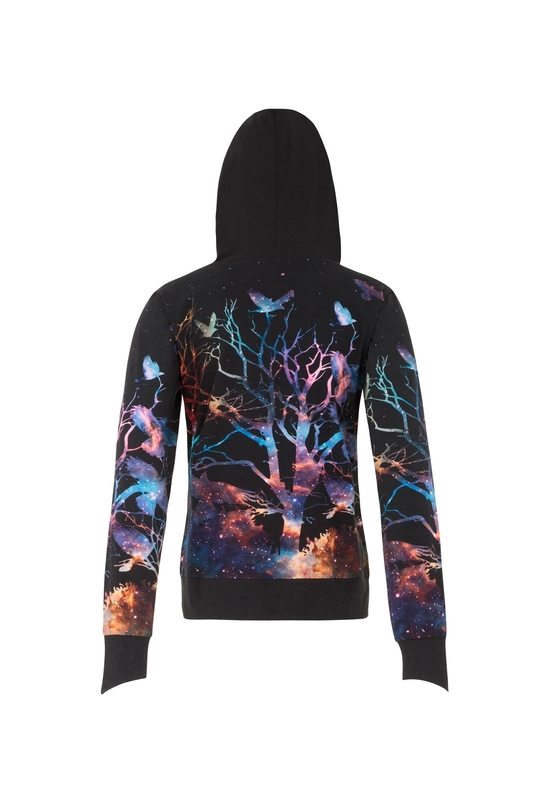 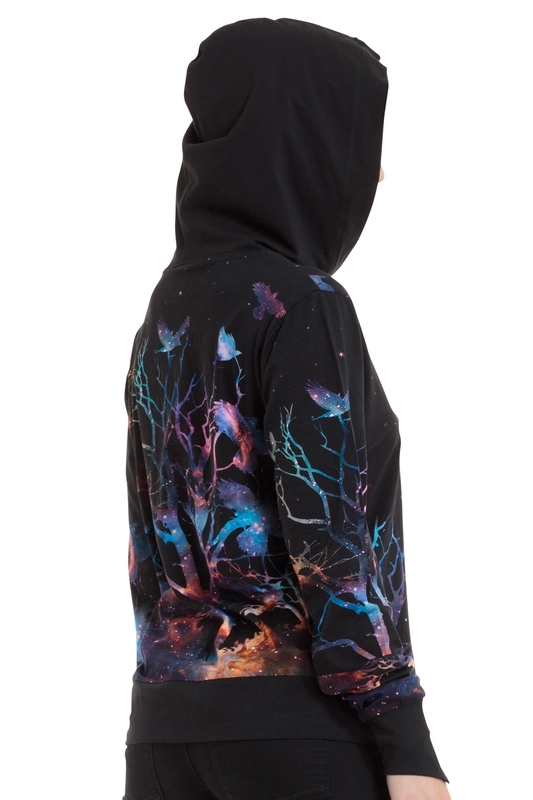 The psychedelic nature patterns in the colours of a far-out twilight on this hoodie are sure to transport you to creepy constellations. 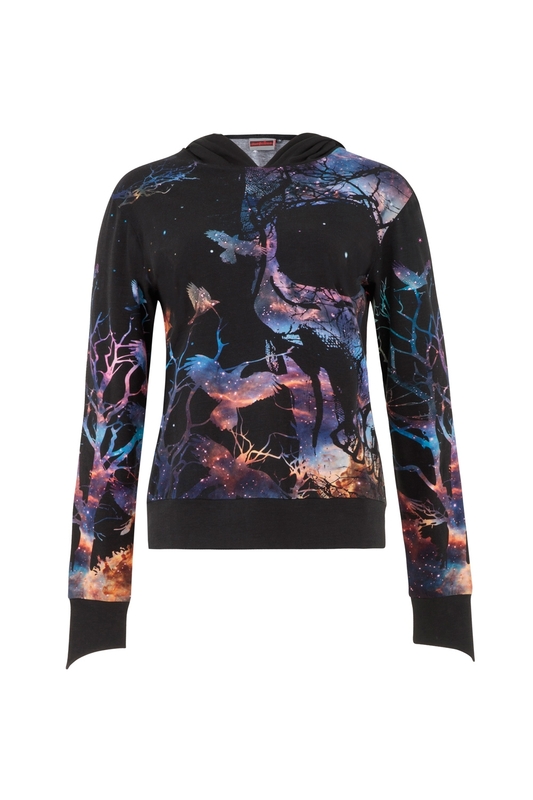 Dreamy.